Property 6: Intimate cottage equipped to high standard, TV, "Smart" BlueRay player and Wifi. Property 8: Comfortable bungalow, big sunny garden easy 5 minute walk to beach and village. Property 11: Peaceful wooded valley close to Exmoor. Luxury Lodge perfect for two. 2-bedroom dog friendly cottage located in Braunton, within easy reach of the beach. 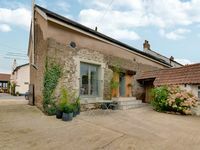 Property 17: 2-bedroom dog friendly cottage located in Braunton, within easy reach of the beach. 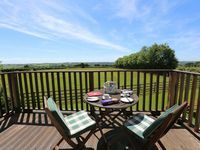 A 2 bedroom self catering cabin set in 20 acres of north Devon countryside! Property 19: A 2 bedroom self catering cabin set in 20 acres of north Devon countryside! 4 Bedrooms | Sleeps 8 | Pet friendly near Croyde and Saunton Beaches. Property 24: 4 Bedrooms | Sleeps 8 | Pet friendly near Croyde and Saunton Beaches. Property 30: Sunset Cabin, watch the sunset over the north Devon horizon in this cosy cabin! Property 42: Amazing Sea Views close to Woolacombe beach. Large garden with hot tub. Centrally located modern barn conversion. A clean well presented holiday home. Plenty of off street parking with a large enclosed garden. Great location for walking into Braunton. Sauton Sands and Croyde just a short drive away. The beds were very comfortable, and both bedrooms had lovely on suite bathrooms. Natasha had kindly left a goodie basket with wine and nibbles, and popped round to check everything was ok. She was easy to contact and very helpful with her responses. A few points to note. The steps leading to the front door are quite high. No cleaning products other than washing up liquid, and dishwasher tablets. No torch (or candles) if a power cut occurred. Also a torch would be useful for the garden at night especially if you have a dog(s). A lovely holiday and our dog loved the garden. Than you.